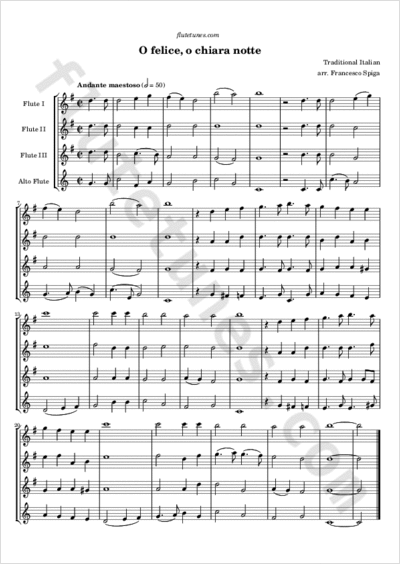 This arrangement for three concert flutes and one alto flute of “O felice, o chiara notte” (“O happy, o clear night”) was kindly contributed to our collection by Francesco Spiga. The carol comes from Trentino, a mountainous region in Northern Italy. For it is time to watch! Come on and do not delay! God will watch from above.